A 3-month intimate one-on-one coaching program for female entrepreneurs who are ready to turn their passion into a wildly profitable business by creating actionable goals to grow their online service-based business allowing them to have the freedom and power to live the life they’ve always envisioned living. A 2 hour single strategy session for the female entrepreneur who is ready to get unstuck and ditch the overwhelm. You’re ready to uplevel your purposeful business and truly own it, together we will redefine your vision of success and equip you with the right tools and strategies to take your business from surviving to thriving. Are you ready to make your little slice of the online world, uniquely yours? Together we’ll create a simple, yet aesthetically stunning, and purposeful design for your brand and business. 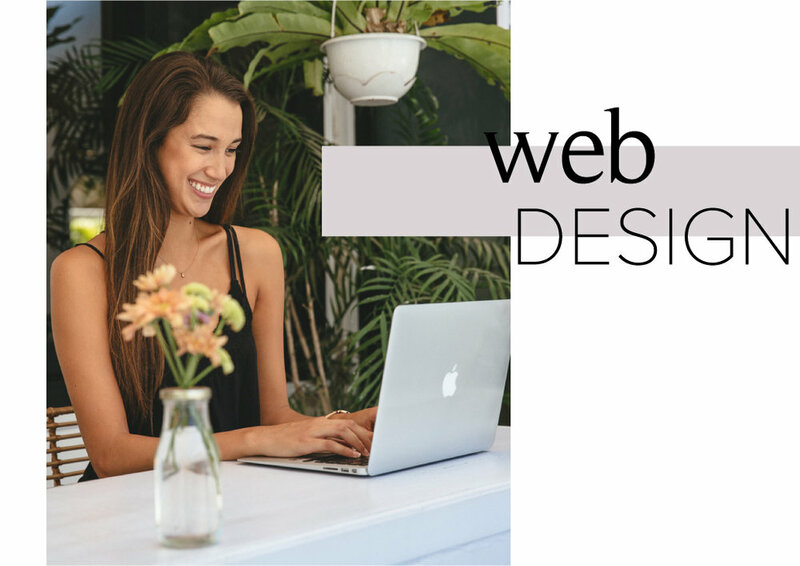 A 5 page Squarespace web design starts at $1,500. Use the button below to contact me directly to receive a customizable quote.